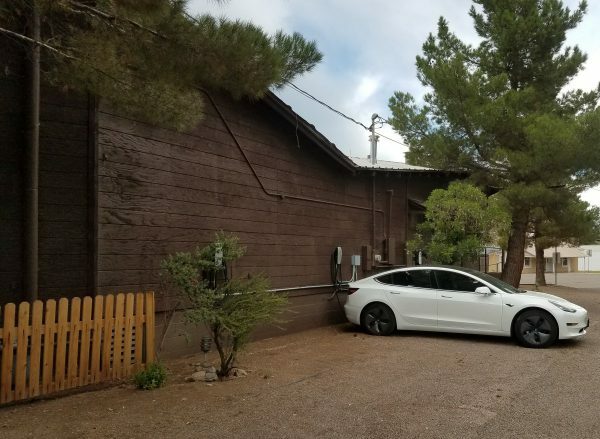 The Hotel Limpia features fast-charging electric vehicle stations, thanks to a partnership with the Friends of the Jeff Davis County Library and a generous local donor. There are two Tesla fast chargers and there is one generic fast charger that are located on the back side of The Porch, along Limpia Street. These chargers are free for residents and travelers to use, with a suggested donation to the Friends of the Library. A lockbox is located there for donations. The stations should be showing up on relevant maps of the national charger networks soon. 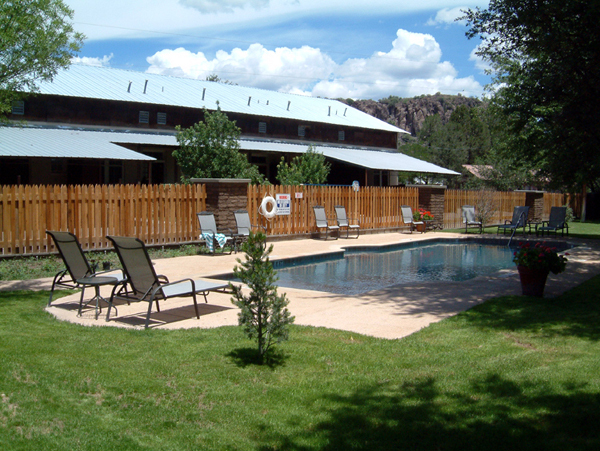 Relax and enjoy yourself poolside and watch the sunset or sunrise while swimming!